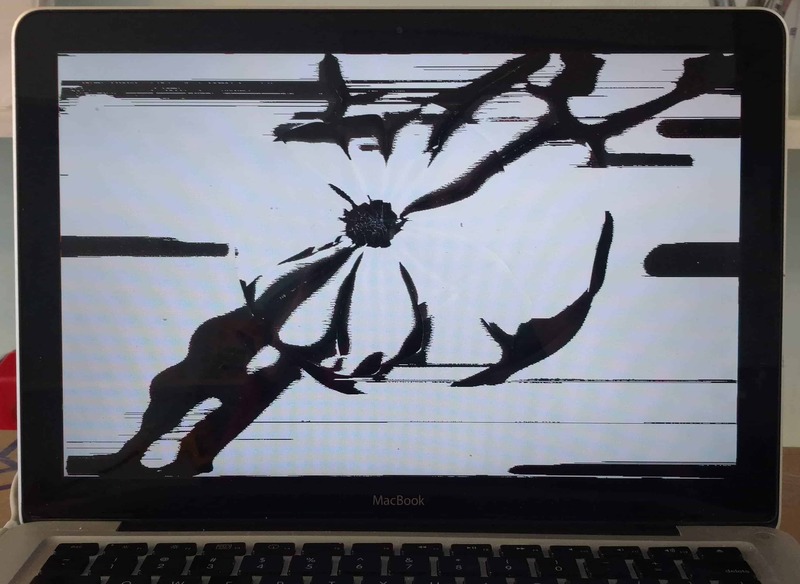 The funky black and white pattern on this MacBook Pro’s screen may remind you of an ink blot test. To us, it looks like a clear impact to the front of the screen, perhaps from closing the laptop lid on an object. The hit to the center of the display must not have been very hard, because the glass on the front of the screen is ok. As you can see from the distorted image, however, the LCD panel was damaged and needs to be replaced. On this A1278 “split bottom” model of MacBook Pro, we are able to replace just the broken LCD, saving the customer some money over a full display replacement. The cost came to only $195 including shipping.